HA NOI (VNS) — The first meeting of the Viet Nam-Japan Joint Committee, which will discuss measures to prevent fraud during the implementation of ODA projects alongside reforms for relevant policies, will be held on April 4 in Ha Noi. The committee will be chaired by a deputy minister of transport and the Charge d'Affaires ad Interim at the Japanese Embassy in Ha Noi. 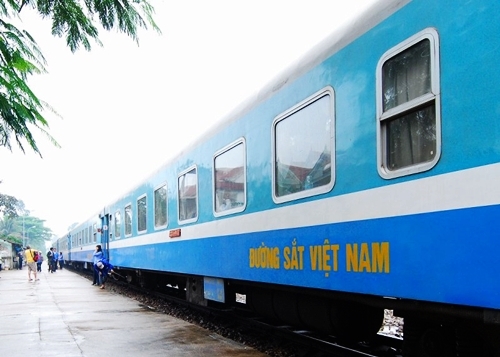 A working group from the Ministry led by Deputy Minister Nguyen Ngoc Dong visited Tokyo from March 25-28 to work with Japanese authorities investigating alleged bribery in a major Ha Noi railway project, according to a press release by the Ministry of Transport. The team worked with Japan's Ministry of Foreign Affairs as well as officials from the Japan International Cooperation Agency (JICA) to look into the allegations, first published by media in Japan. Dong briefed the Japanese officials on the response of the Vietnamese side after receiving the information and asked Japanese authorities to investigate the charges and share news related to their conclusions. Highlighting the Vietnamese side's prompt, positive and drastic response, the Japanese side said the case had been transferred to the judicial forces of Japan and requested close co-operation from Vietnamese ministries and sectors when it came to releasing information to the media. They also asked the Vietnamese side to help put forth measures to prevent corruption, bribery and unfair competition during the implementation of ODA-funded projects.